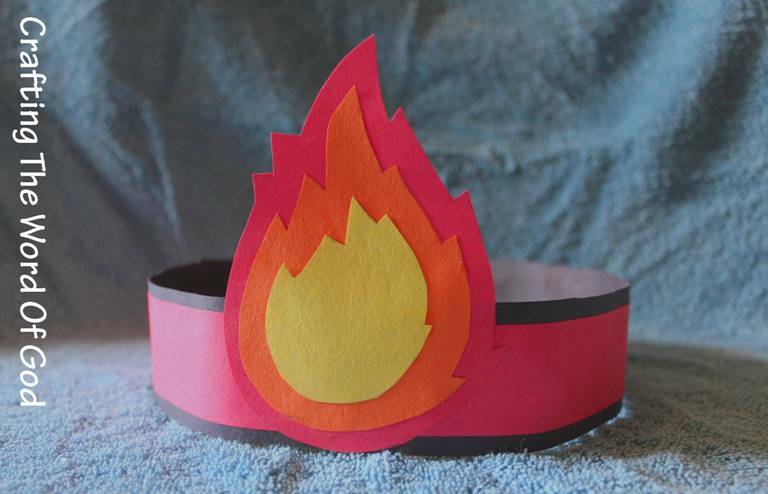 Use the flame pieces as templates to trace them onto red, yellow and orange construction paper. Cut out the flame pieces and glue the pieces together. Grab the rectangle templates and trace the larger pieces onto the color of your kids choice and the smaller piece onto red construction paper. You will need three of each. Glue the smaller pieces to the larger pieces. Then glue the assembled parts together creating one long band. Place the band in front of your child and then glue the flame to the center of the band. This entry was posted in Bible Crafts, Church, Disciples, Holy Spirit, NT Crafts and tagged apostle, bible crafts, craft, crafts, Day Of Pentecost, fire, flame, Holy Spirit, Pentecost, The Day Of Pentecost.